We've never seen a unicorn before, but it's been on our bucket list pretty much our whole lives. We're certified unicorn questers meaning, at least once a week we go out into the world and search for the magical creature. It's been almost 30 years and a hoofed beast with a rainbow mane has yet to prance across our paths. Instead of giving up (which we would never do), we decided to change our goal. Instead of just looking for unicorns, we now want to become a unicorn. 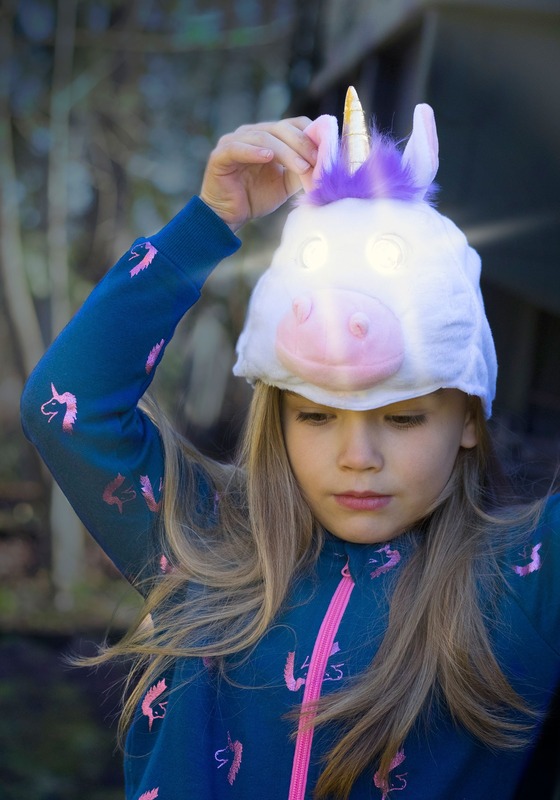 The unicorn head lite costume hat allows children to transform into the spellbinding equine. 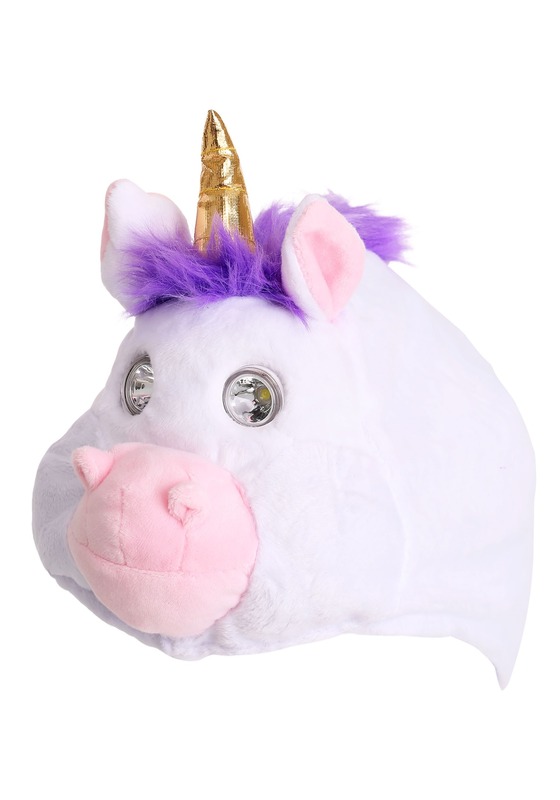 We wished we had a unicorn head lite in our size but until they make one, we'll just keep searching for the elusive mystical beast... the unicorn. Once the hat is equipped with 2 AA batteries (not included), the unicorn's eyes light up and move up, down, left and right. It's so lifelike! An adjustable tab in the back makes the character hat capable of fitting many different sized children's heads. This hat is perfect to pair with a unicorn costume. Wear it while trick-or-treating so you can watch your step and be safe while collecting candy as a magical creature.